9x12, xxiv + 170 pp. 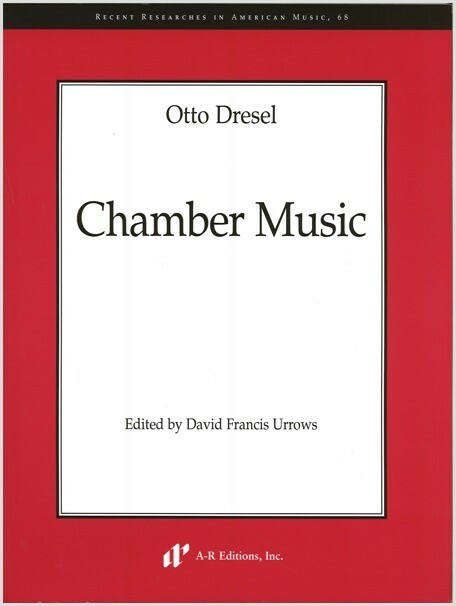 This volume contains two chamber works by the German-American composer Otto Dresel (1826–90): his Piano Trio in A Minor and Piano Quartet in F Major. Both works were composed during his studies with Felix Mendelssohn Bartholdy in 1846–47. In contrast to Dresel's lieder, which follow in the steps of Schumann and Robert Franz, these compositions, especially the heroic trio, are worthy successors to Mendelssohn's own chamber music. The quartet, a more intimate essay than the trio, features a charming Intermezzo that became one of Dresel's most popular compositions during his lifetime. Franz Liszt reviewed both pieces and called them "remarkably distinguished works." They are indeed eminently performable, engaging, and tuneful works that enlarge not only the repertory of chamber music from this period, but also the record of the high standard of innovative music making in the United States prior to the Civil War. Both works are published here for the first time.